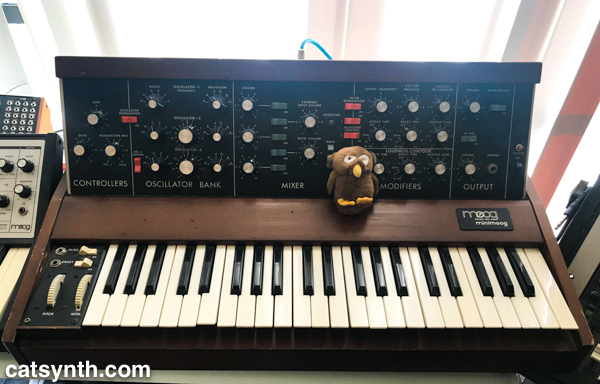 Posted on February 4, 2018 February 4, 2018 by catsynth	This entry was posted in Cats, News, Personal, Samantha and tagged cat, minimoog, moog, nord, sam sam, Samantha, sick, studio cat, superb owl, tuxedo cat. Bookmark the permalink. 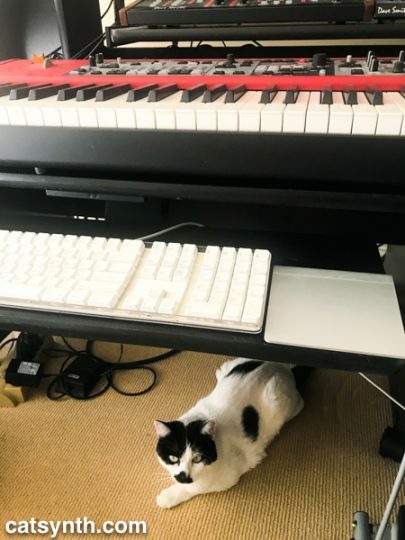 I love that Sam Sam likes to be where the action is. Glad to hear you’re feeling a bit better … here’s hoping that good trend continues!